iTUNES NAMES THE COOKERS "TIME AND TIME AGAIN" THE 2014 "JAZZ ALBUM OF THE YEAR"
After seven years together, The Cookers, who "embody the serious-as-death commitment that it took to thrive on the New York scene some four decades ago" (Andrew Gilbert, The Boston Globe), entered the studio earlier this year to record their fourth album, Time and Time Again, the follow up album to their three critically-acclaimed recordings, Warriors, Cast The First Stone and Believe. On Time and Time Again the incredibly high level of musicianship has only increased with the latest offering of fresh, challenging, boundary-pushing music from these legendary, revered, veteran improvisers. 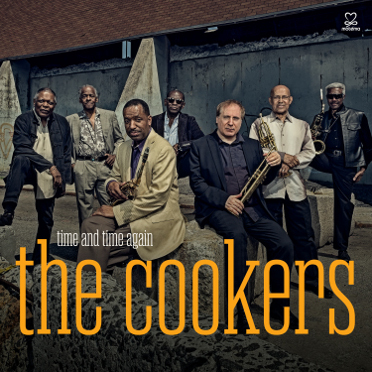 Available now on Motema Music, The Cookers are now touring the globe in support of the album. 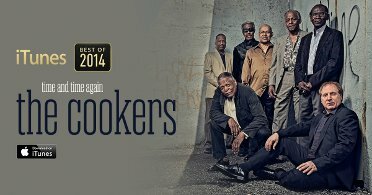 "Player for player, there’s no better working band in jazz than The Cookers." "A dream team of forward-leaning hard-bop"
"This hard-hitting septet wears its name like a mission statement. Rich with a mix of classic elegance and exploration, the group might reference the past by name, but it never sounds less than current. "A remarkable band at the height of its collective powers." "This is the greatest jazz super-band working."